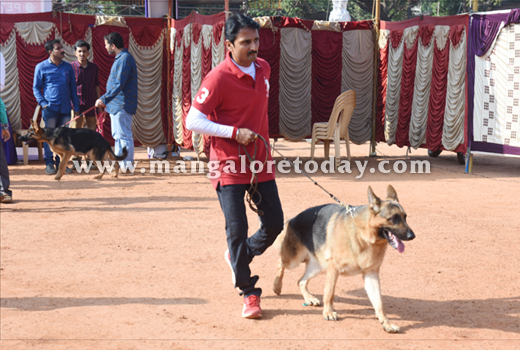 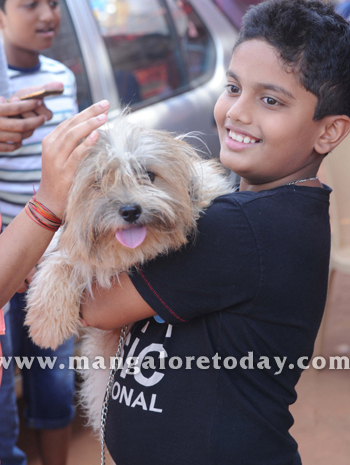 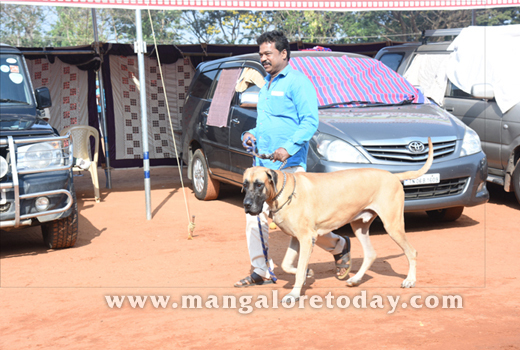 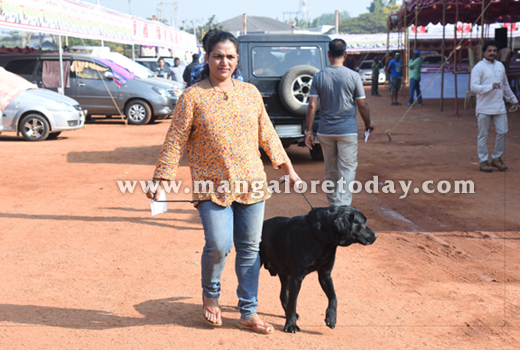 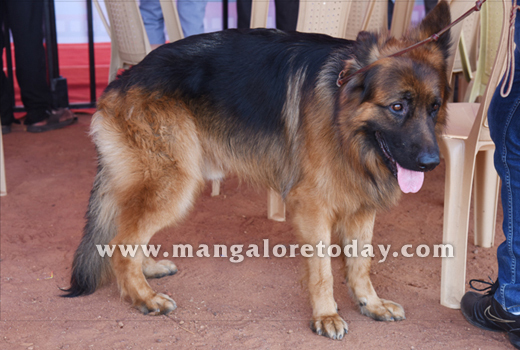 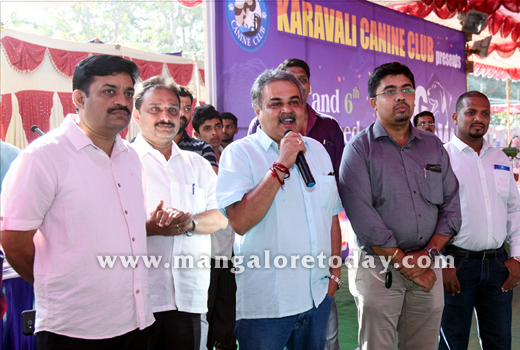 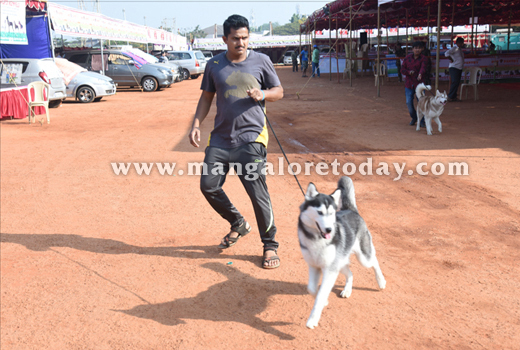 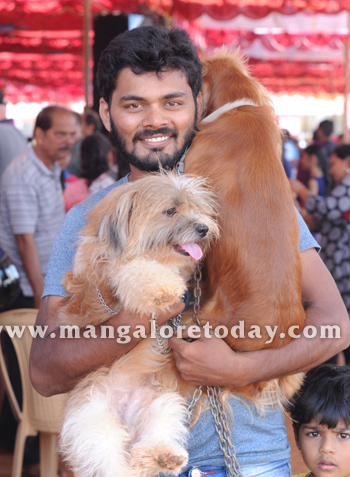 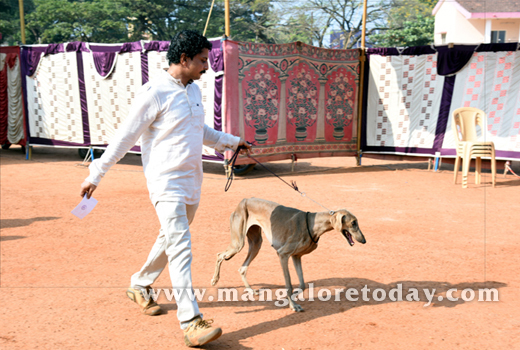 Mangaluru, Jan 22, 2018: A national level dog show organised by the Karavali Kennel Club at Nehru Maidan turned out to be a huge attraction with different breeds of dogs, both Indian and foreign participating in the show with their proud owners. 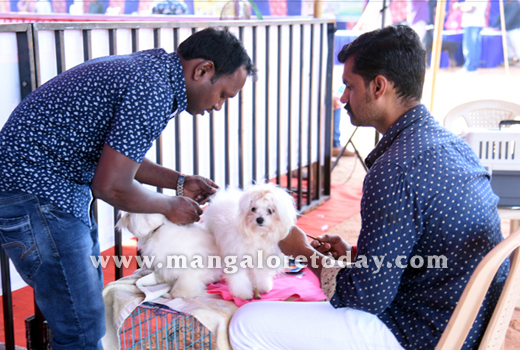 A total of 185 canines of 31 different breeds took part in the event. 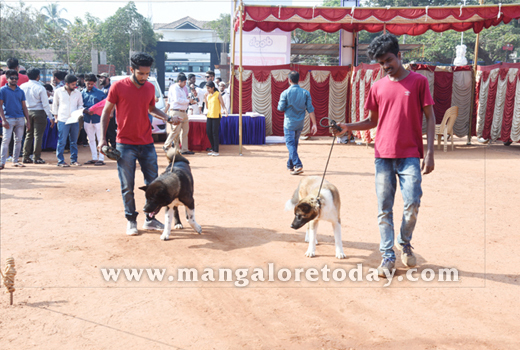 The canines were brought to the stage in true style of a beauty pageant. 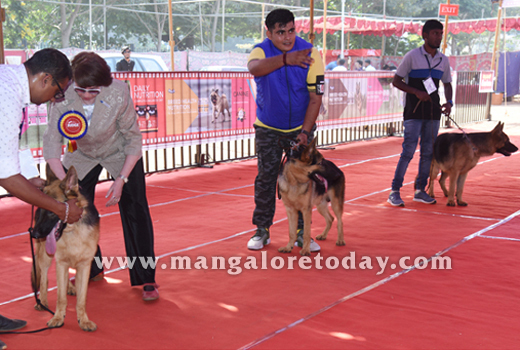 Elena Kushelova of Russia, Yogesh Tuteja and Sharath Sharma were the judges. 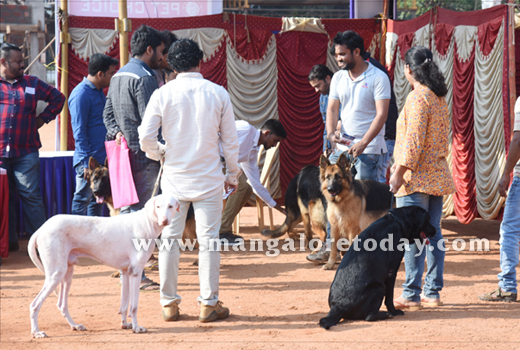 Top ten dogs were selected from a total of 11 groups and eight dogs were awarded for being Best in Show. 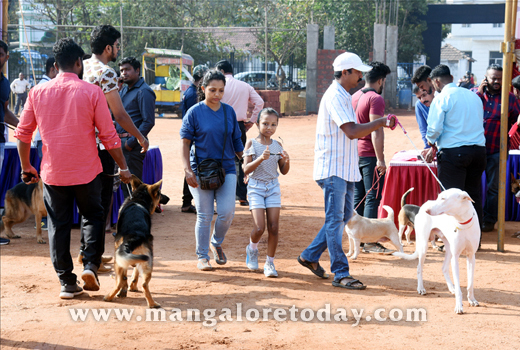 Dog lovers from even far off places like Pune, Solhapur, Bengaluru, Mysuru, Chennai, New Delhi, Kolkata and Hyderabad took part in the event.